SMOK Nord vs SMOK MICO | What’s The Best SMOK Pod Mod? 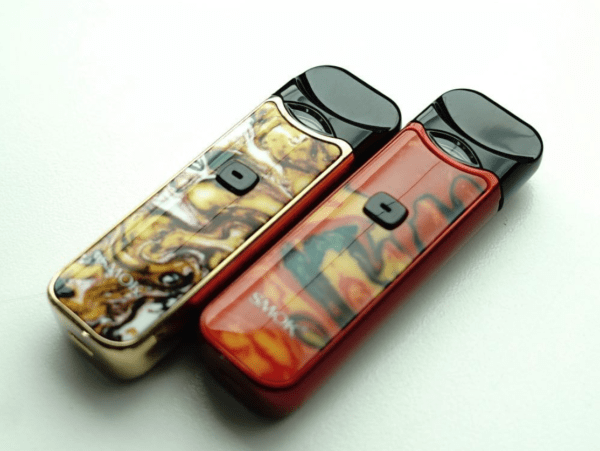 SMOK’s 2019 pod mod systems are proving VERY popular, but which is the best – the SMOK Nord or the SMOK MICO system? I’m not gonna beat around the bush here: I like both of these pod systems. They work great and deliver brilliant flavor and performance. The MICO is smaller and more unusual looking, very Mi-Pod-like, whereas the Nord is larger and more conventional. OK, you’ve read my quick verdict which outlines which pod system I’d go for and why. But if you’d like more details on both of these excellent pod mod vapes, read on! 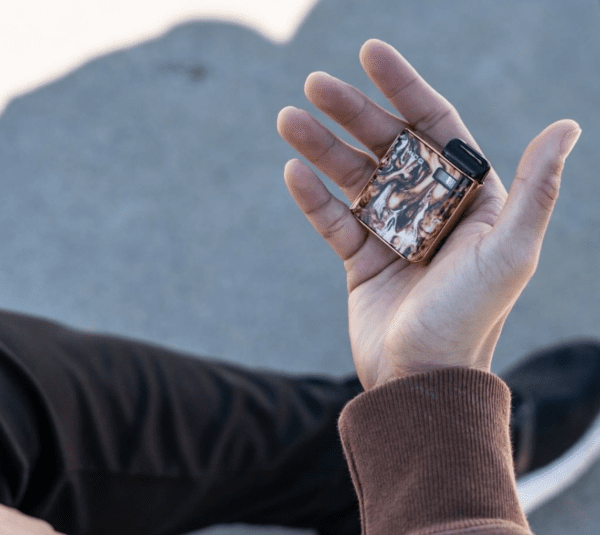 SMOK MICO – A Mi-Pod Clone Than Delivers The Goods! The SMOK MICO might look a tad familiar. The reason for this is simple: SMOK has more or less copied the design of the insanely popular MiPod by Smoking Vapor. 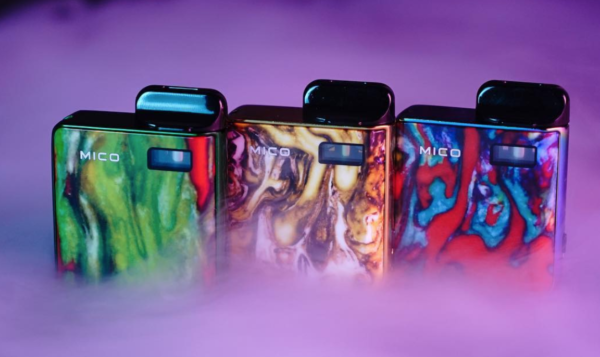 This is probably very annoying for Smoking Vapor, but it’s great news for us because the SMOK MICO is cheaper than the MiPod and, I’d argue, ever so slightly better with respect to performance and flavor. 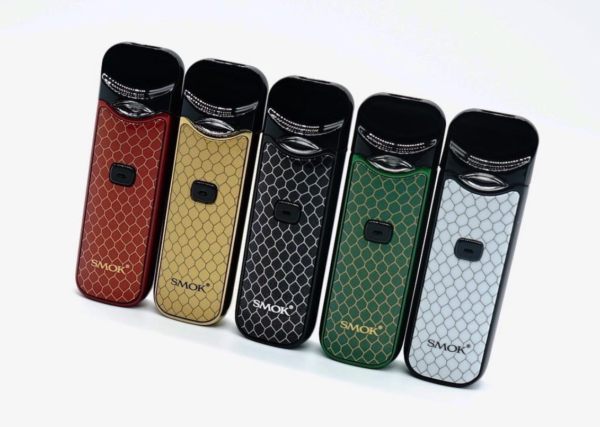 As you can see from the specs, the SMOK MICO is smaller than the Nord but it does carry many of the features that make the SMOK Nord so darn good. You have support for both MTL and Sub Ohm vaping as well as a super-classy, ultra-premium look and feel. Both the MICO and Nord are solid performers. In fact, the only thing that really separates these two devices is battery life (the Nord is slightly better). For everything else, they’re very similar. The MICO delivers exceptional flavor and vapor production. You have the option to run it in MTL mode (with Nic Salts) or sub ohm mode (with standard high VG E Juice). Both have this ability and both do it very well. The MICO is more portable than the Nord, which is handy. It’s also just as powerful and delivers much the same hit. For this reason, those looking for a true stealth vaping device might be tempted by the MICO despite its smaller battery. In testing and with general usage, the MICO is a really great pod. 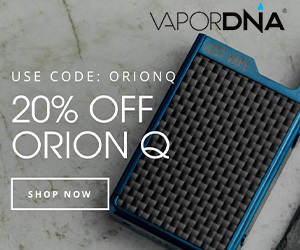 It’s better than JUUL, it’s better than nearly all of my legacy pod mods with the exception of more expensive options like the Lost Vape Orion DNA pod mod. 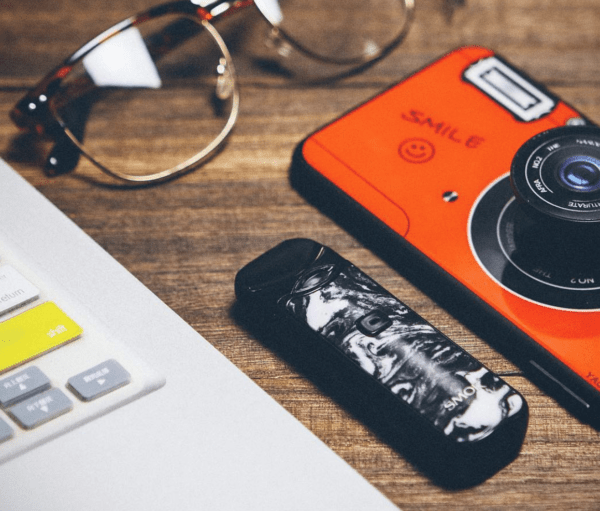 The SMOK MICO also features automatic draw, so there’s no need for buttons and this adds to the overall beauty of the device – both aesthetically and from a user-experience perspective. To use it, simply take a draw and the device powers into life, delivering intense, tasty vapor. The MICO never leaks either. I honestly have no bad things to say about this pod system. In fact, I’d go as far as saying it is one of my all-time favorite pod vapes, which is high praise indeed. The SMOK MICO runs a 700mAh battery. This is slightly smaller than the SMOK Nord’s (1100mAh) and it does have an impact on battery life and overall performance, though slight. Both the NORD and MICO will do a full day’s worth of vaping, but the MICO falls slightly behind. For instance: say you do a full day without recharging the device, the Nord will easily make it through to around 8/9PM, whereas the MICO will crap out at around 6 pm. It’s not a big difference, but the extra few hours, when you need them, are often extremely useful. If you can handle this slight discrepancy, and you prefer the look of the MICO, I don’t see any reason why you shouldn’t go with it over the Nord. 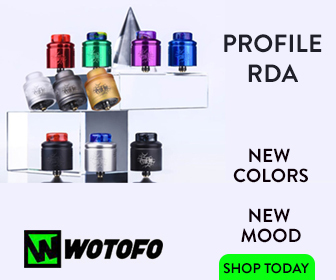 SMOK’s track record with coils isn’t great, but this time around the company has really raised its game. The MICO and Nord coil heads are utterly superb, lasting weeks between changes. Chuck in the fact that you have options for both MTL vaping and sub-ohm vaping and you’re looking at one of the most versatile pod mod systems on the market right now. I’ve been getting anywhere from a week to the week and a half from the sub ohm coils and about two to two and a half weeks from the MTL ones. This is very, very good. Even by the best standards. For this reason, as well as its design and performance, the MICO scores big points. As noted throughout this post, I really, really, really like both of these pods. I’m lucky enough to own both and they’re both really great devices that are more or less equally matched in all respects, save for battery life where the Nord has a slight advantage. As you can see, the SMOK Nord packs in plenty of excellent specs and features. You have a large, 1100mAh battery for all-day vaping, a choice of three coil heads (one sold separately), and a 3ML juice capacity inside each pod. And this is really the only major difference between the Nord and MICO: battery size and pod size (as well as how they look). The Nord holds more E Juice (3ML vs 1.7ML) and it has a larger battery inside it (1100mAh vs 700mAh). With respect to performance, both are very equally matched. Vapor production and flavor are great, and they hit like a freight train right the way down until the battery is exhausted. The Nord, as noted earlier, has slightly more longevity with respect to battery life but that is really its only one-over on the MICO. In terms of raw performance, both devices are more or less the same which is to say they hit hard and they hit consistently. But that is literally it. I do actually prefer the look of the MICO; it’s gorgeous and super-portable. I also like that it uses lip-sensing technology too, as this keeps the chassis completely devoid of buttons.